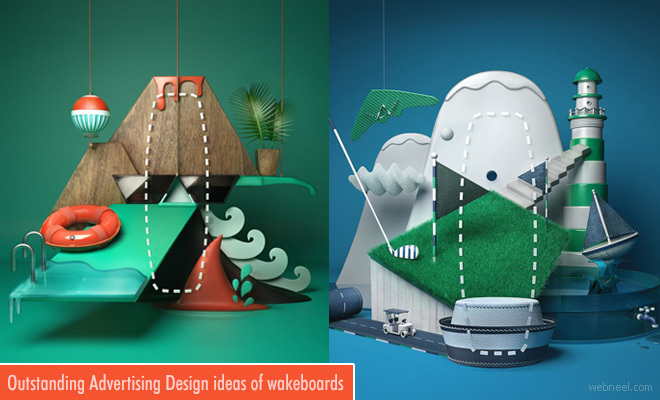 Advertising designs created on hang loose concept for encouraging wakeboarders has five designs. Each design stands distinct with different personalities and sets of experiences. The models are basically created in such a way they attract younger audience who love fun imagery and are gadget centric. Nobile sports is the fastest developing sports brands in the world. It offers snowboards, wakeboards and a full assortment of kiteboarding equipments. The advertising designs for nobile wakeboards are creative and attractive. Here are the advertising designs for you to explore.